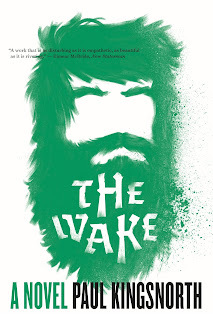 I finished Paul Kingsnorth's The Wake and am in the middle of writing about it for my next Black Gate post. 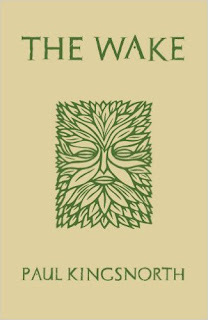 For those of you who haven't heard of it, it's about Buccmaster of Holland, a wealthy farmer from Lincolnshire, who takes to the fens and woods as a green man bent on fighting the Norman conquerors. 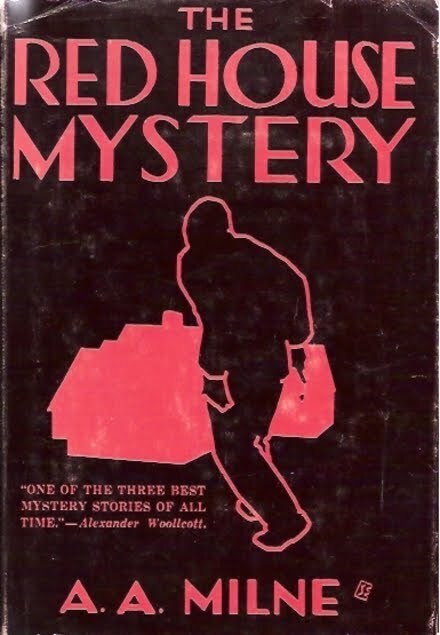 He is by turns a liar, a patriot, a guerilla, and a murderer, and Kingsnorth's writing makes him the most riveting narrator I've read of late. It's also one of the most penetrating psychological studies of a man under devastating pressure. Buccmaster tells his own story in an invented vernacular Kingsnorth calls a shadow language. It's built on Old and contemporary English and doesn't allow words without pre-Norman origins or letters not in Old English, like K and Q. It's tough to read for the first page or two, but soon, like me, you'll probably find yourself reading it out loud, letting the odd rhythm overtake you as it becomes more natural. Slowly, the language permeates you, letting you see the world from Buccmaster's ancient perspective, not your own. 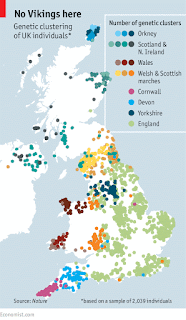 Saxon England is more violent, from hearth and home up to national affairs. People are also closer than us to the natural world as most people make their livings off it, most as farmers, others as fishermen or charcoal burners or hunters. One of the major themes Buccmaster hits on again and again, is of the past being a better time than the present. 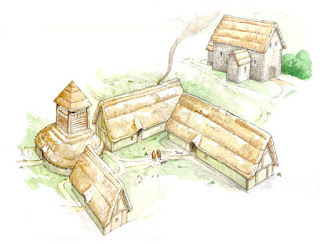 The near past, just prior to the Norman invasion was better because then he was rich and locally important. He had men who owed him service each week and he held a seat on the wapentake (an administrative body). 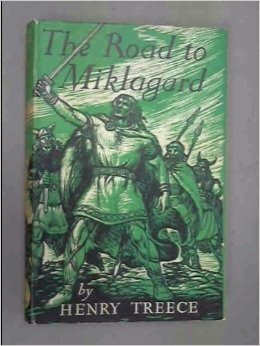 The deeper past, half a millennium back, when the Saxons first arrived, was better because men were bolder and held true to the old ways, following Wodan and his ilk, not Christ. Now all is lost. The thing is, the past Buccmaster longs for is a mythical one with more roots in legend than reality. 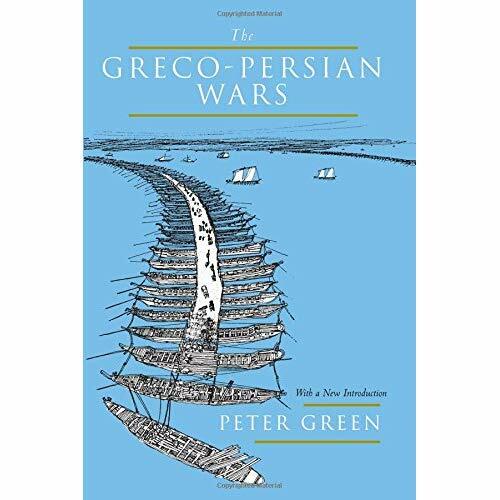 Reading background material for my review, I've come to learn the reality of the Saxon settlement of England and the subsequent birth of England is far more complex than I used to believe. 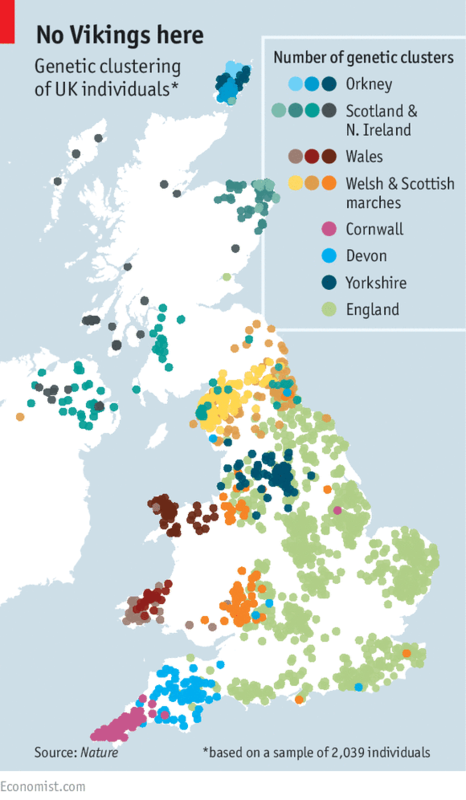 Recent studies of English DNA show that the old idea that the native Britons were driven into Wales and Cornwall and supplanted by the Angles, Saxons, and Jutes, are not wholly accurate. 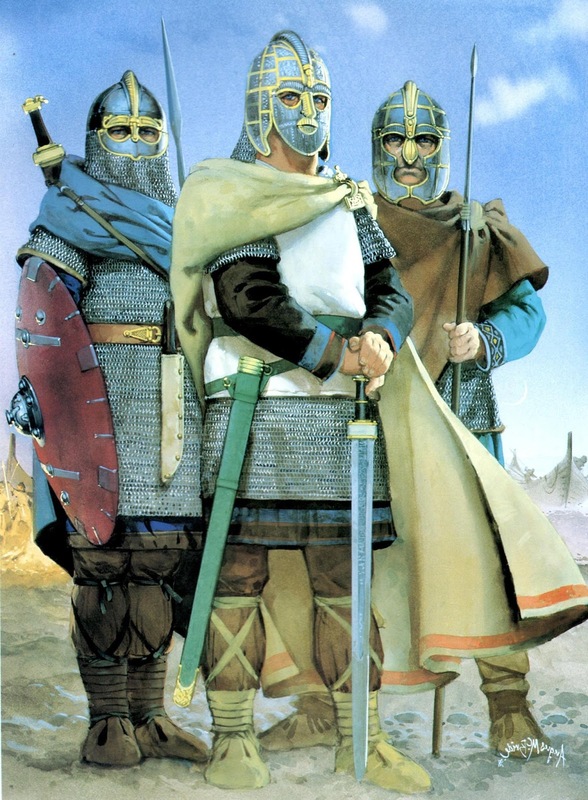 Germanic DNA only composes 25% to 40% of the average white Briton's genetic makeup. The Romans and the Danes seem to have come purely as conquerors, leaving next to no genetic traces among contemporary Britons. The northern Welsh seem to be the "purest" remnants of the pre-Saxon, Celtic population, while the rest of the Celts are more different from each other than they are from the English. The present theory is that it was in the best interest of conquered Britons to take up the habits and culture of the invading Germans. The weregild for a murdered Briton was much less than that of a German. There seem to have been privileges attached to speaking German instead of Brittonic. Mitochondrial evidence shows that the Celtic DNA is largely maternal while the German paternal. This had led some to theorize a sexual apartheid existed in early England, leaving British men out in the cold when it came to reproduction. Researchers also expected to find a similar genetic heritage among the Celts of Britain, the Cornish, Welsh, Scots, and Irish. They didn't. Prof Mark Robinson, an archaeologist who works with Prof Donnelly at Oxford University, said he was "very surprised" that Celtic groups in Cornwall, Wales, Northern Ireland and Scotland had such different genetic patterns. "I had assumed at the very early stages of the project that there was going to be this uniform Celtic fringe extending from Cornwall through to Wales into Scotland. And this has very definitely not been the case," he told BBC News. The researchers did see distinct genetic groups within those regions but those groups were quite different from each other, according to Prof Donnelly. "Although people from Cornwall have a Celtic heritage, genetically they are much, much more similar to the people elsewhere in England than they are to the Welsh for example," said Prof Donnelly. "People in South Wales are also quite different genetically to people in north Wales, who are both different in turn to the Scots. We did not find a single genetic group corresponding to the Celtic traditions in the western fringes of Britain." 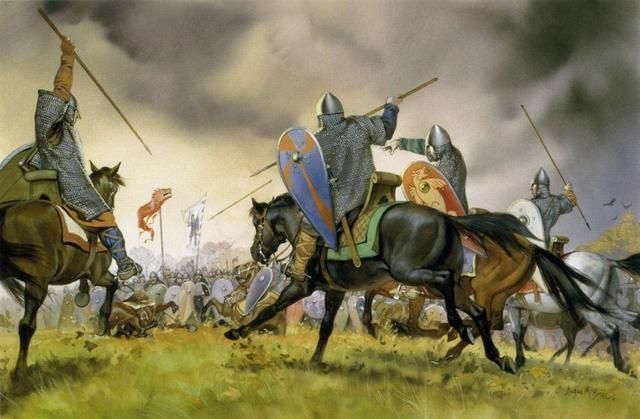 The history of Britain through 1066 is one of invasions and cultural conquest. 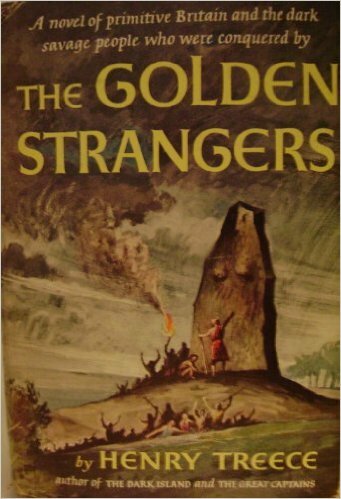 The original stone age people were conquered by bronze-using tribes from the West (the subject of Treece's The Golden Strangers). The Celts did the same thing when they arrived. By the time Caesar landed in Britain, everyone on the island was a Celt. The Germans did the same thing in turn. 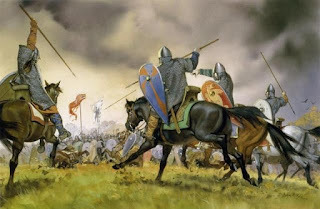 That the Normans, themselves descendants of Vikings who'd invaded northern France, did it is no surprise. Several reviews of The Wake call it a post-apocalyptic story. To an extent, it is. Saxon society, flawed as it might look to us, was stable, with each man knowing his place in it. 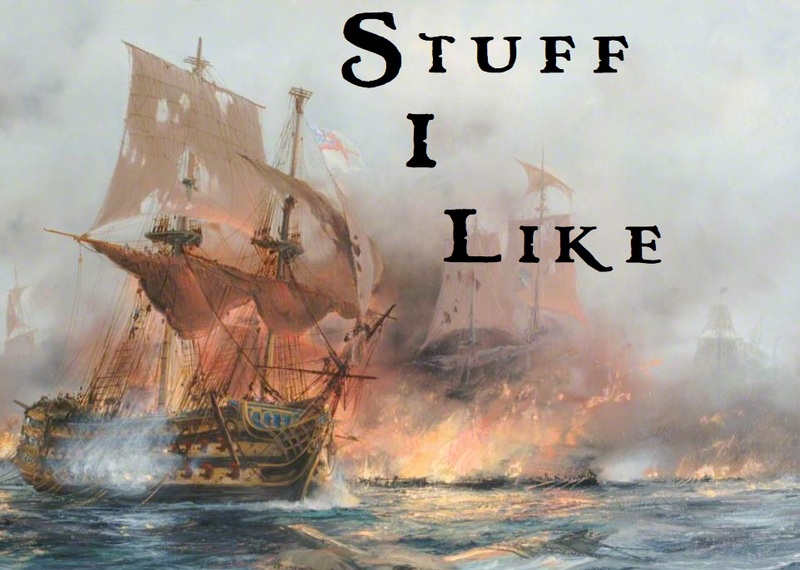 When it's destroyed, all Hell is let loose. Men like Buccmaster, who refuse to submit, lose everything. The book gives us hints of the devastation caused by William during the Harrowing of the North. Buccmaster and his band skulking across the landscape spying on their Norman conquerors is reminiscent of H.G. Wells' narrator watching the Martians impose their will on England. The Saxons, though, don't get saved. The Wake is a book that I know I will reread over the coming years. It is a powerful meditation on identity and cultural loss. Kingsnorth's shadow language is something, I suspect, needs to be immersed in again and again to be truly appreciated. It's a brilliant book that's worthy of all the praise and accolades given it. If you haven't read it yet, I strongly recommend you do. Like the title says; interesting articles/posts to read or things to spend money on that caught my eye this week. 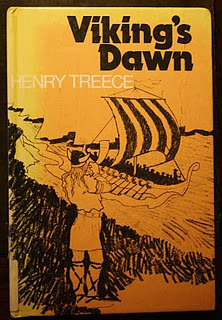 First: The Viking Trilogy by Henry Treece - In the comments over at Jim Cornelius' Frontier Partisans in a discussion of the Dark Mountain Project (among other things), I mentioned author Henry Treece and his Celtic Quartet (I've reviewed The Dark Island, Red Queen,White Queen, and The Great Captains at Black Gate) and how I want to read his Viking Trilogy, but it's hard to come by. Well, no longer. 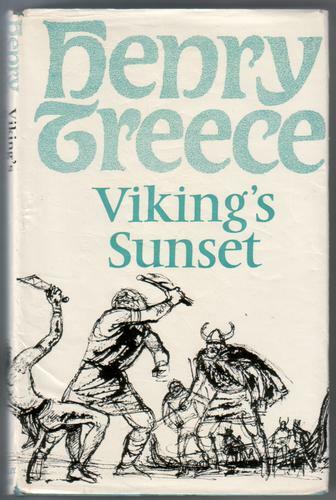 Tooling around Amazon to see how much it would cost to get paperbacks of some of Treece's books, I saw a pre-release notice for YA The Viking Trilogy on kindle coming in July. I will buy it the moment it's available and am hoping it's a portent of a widespread release of Treece's work in e-format. 1) That Man was in need of greater freedom, economic no less than aesthetic, from machine and mechanistic thinking. 2) That no existent political system, Left or Right; no artistic ideology, Surrealism or the political school of Auden, was able to provide this freedom. 3) That the Machine Age had exerted too strong an influence on art, and had prevented the individual development of Man. 4) That Myth, as a personal means of reintegrating the personality, had been neglected and despised. I've never read any of his poetry, but I can see elements of the manifesto in his historical novels. The three I've read are set all set in bloody hinge moments of British history. They are also set on the edge of realism and the supernatural. Some events are clearly supernatural while others All three depict points of rupture in the old order, when the world its characters have assumed would continue forever is destroyed. In each, the beauty of the land, its mystery, is the set against destruction and death. Order falls to chaos and the world moves in a new, unforeseen direction. I only have one more to read in the quartet, The Golden Strangers. 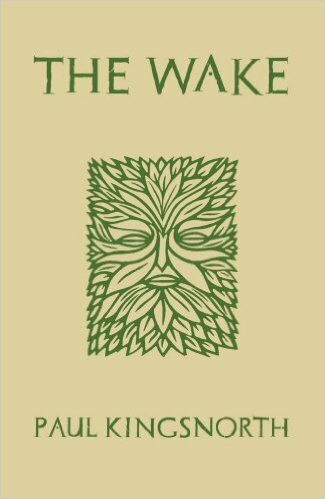 It's set in Britain's distant past when tribes with bronze weapons arrive to the detriment of the island's less advanced natives. Second: A History of Violence - Tom Breihan of the AV Club has started a series on the history of modern action movies. For each year he picks what he considers the best film. He also discusses briefly several other genre movies from the year in question. So far it's been a smart, insightful series that's already got me trying to track down two movies I haven't seen in a long time. I hope he manages to stick with this long enough to chronicle the evolution from the more tough-guy movies of the seventies thru the pumped up eighties of Schwarzenegger and Stallone to the hyperactive present. 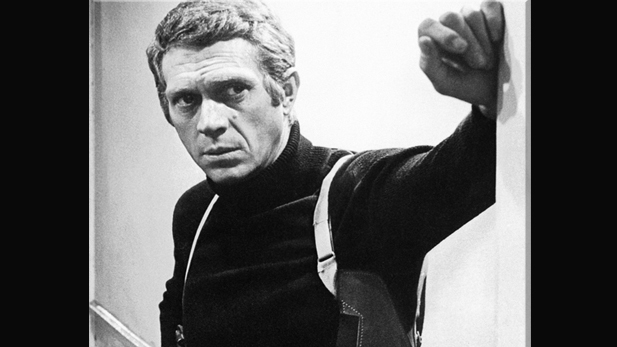 For reasons he explains and I'm willing to go along with, he starts with 1968's Bullitt. For those who haven't seen it, it stars Steve McQueen in one of his most iconic roles and features one of the first great modern car chases. For those raised on the hyper-kineticism of modern action scenes, it may be a little slow, but the chase is a model of automotive choreography and editing. Unlike most modern action films, it has a fairly complex and involved plot and some actual characterization. 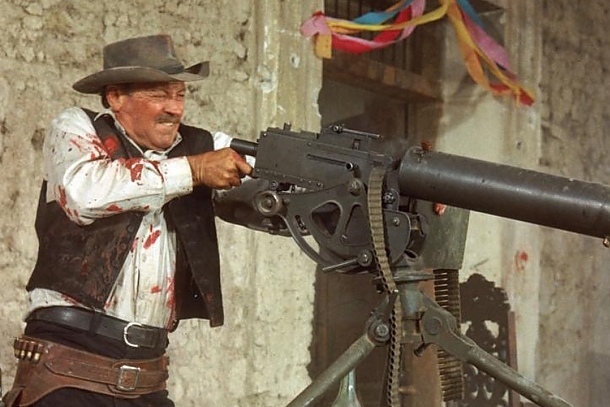 His 1969 choice is Sam Peckinpah's blood-drenched masterpiece, The Wild Bunch. It stars William Holden, Robert Ryan, Ernest Borgnine, Warren Oates, and Ben Johnson. If you haven't seen this and have any interest in Westerns, action movies, or just plain old great movie making, you should see this. Finally, for 1970 Breihan chose The Chinese Boxer starring Jimmy Wang Yu. Before this he starred in classic, One-Armed Swordsman, its sequel, Golden Swallow, and several others. I'll have to see if I can get a copy. He says the movie is considered the first pure martial arts movie, focusing on hand-to-hand fighting and choreography. I haven't seen this one in years and have almost no memory of it, but Wang is one of the martial arts movie greats. It should be fun to see what Breihan choose in the weeks to come. If you have an interest in action films, this should be a weekly stop for you.